I’ll remember him (and the one-armed, one-legged guy who does 3 Haute Routes each year) next week when I’m struggling up the same mountains he just rode in La Marmotte. Kudos to Paul. Only 6 rides beforehand! Fantastic. By the way did you read about the 32 year old Belge Betty Kals – 7.5 times up Mont Ventoux in 24hours. Guiness record. I had heard of Betty but she must have done that this past weekend, right? La Canibale took place and there were thousands of crazy Belgians (even more than usual) on the mountain. like the great Yogi Berra said (a great and much loved American baseball player in the 40’s and 50’s…..
‘Baseball is ninety percent mental and the other half is physical.’ I believe that goes for cycling too. He sure does. I didn’t get up the nerve to climb Ventoux for 2 years. He just did it. Ignorance is also bliss, I guess. He had no idea what he was doing! An example to us all to stop moaning and get on with it….or to me at any rate. I think you have a few good excuses this year, TP, if you want to use them. I’m guessing Paul wasn’t all fussy about silly details like riding position, rotational weight, ride quality, etc etc… Awesome. I’m not sure when she did it. It’s in the July issue of Le Cycle so couldn’t have been this past weekend. 331km and 12,336m climbing. It seems she’s riding the Gran Fondo Mont Ventoux this weekend. John just tweeted about it I think. 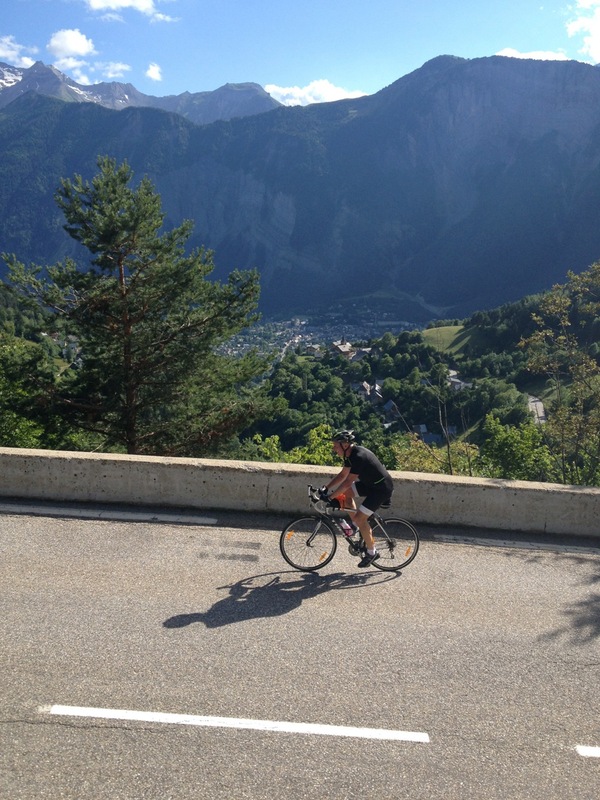 Brilliant, loved the descent from Col de Sarenne – filled me with awe! It was really gravelly this time and someone even took a header on a hairpin (avoid me, as it turned out!). Pretty descent but hairy as hell!